French: Smaragdan oreillard; German: Scieferkopfvireo; Spanish: Follajero de Capa Oscura. About 5.5 in (14 cm). The body is relatively heavy, the head large, and the beak stout. The back is olive green, the chest and belly are yellow, the top of the head and cheeks gray, with a broad yellow stripe over the eye. 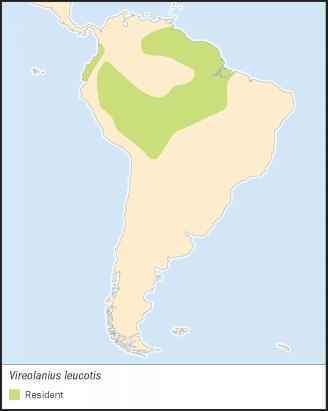 Widespread in northern South America, including parts of Colombia, Ecuador, southern Venezuela, the Guianas, much of Amazonian Brazil, northern Bolivia, and eastern Peru. A nonmigratory species that defends a breeding territory. The song is a loud, repeated, simple phrase. 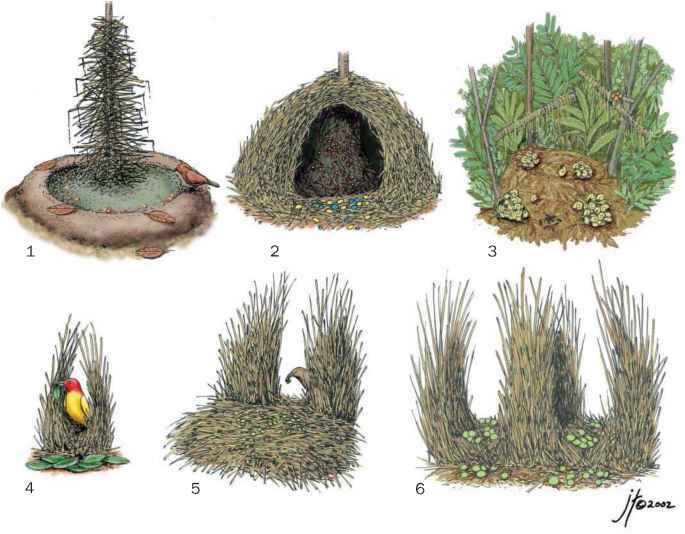 Feeds on insects and other invertebrates gleaned from foliage, flowers, and limbs.